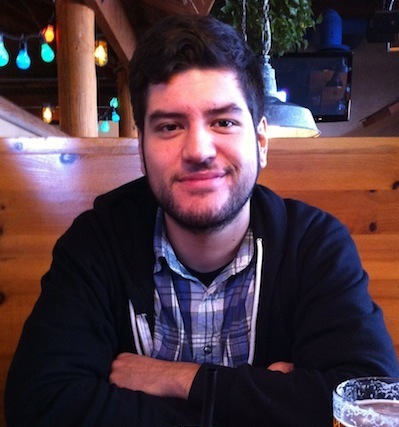 David currently lives in Lakewood, CA, and is pursuing his MFA in poetry at his alma mater, Cal State Long Beach. He grew up in Culver City, and continues to grow and write in the greater Los Angeles area. David’s first collection of poems, Loogie Papers, was published by his friends at Tiny Splendor Press in the Summer of 2013. He hopes that you enjoy his poems, and that you have a great evening.